I’ve kept diaries and pen-and-paper to-do lists for the better part of the past two decades, so it makes sense that I’d fall in love with bullet journaling. It’s both a creative hobby and a practical one, and it’s very self-guided; you can spend as much or as little time on it as you want. As I said, I’m not particularly artistic, so I didn’t go into this hobby expecting any amazing results; I mostly just wanted to learn some watercolor basics, make things that my mom and friends would tell me looked good, and entertain myself. Mission accomplished! Good for: People who took one art class in high school and weren’t completely terrible at it, people who look at cute illustrations on Instagram and wonder if they could do that. Where to start: There are loads of free tutorials on YouTube, but I’d suggest Yao Cheng’s Beginning Watercolors classes on Creativebug. (Though I actually started with her intermediate class because I’d already done a watercolor class on Brit.co.) Creativebug offers a free trial and then it’s $4.95/month after that, which gets you a credit for one new class each month + ongoing access to all your old classes. (You’re able to keep the class from your free trial forever, though.) The class I did was really well shot, and I love how organized everything is on the back end; the video is divided into chapters and you can easily access high-res versions of the paintings Cheng does in the video if you want to take a closer look. Note: With this and all online video classes, give yourself permission to pause them so you can practice whenever you need to, and don’t feel weird about needing to rewind and rewatch things until you understand them. Depending on what kind of learner you are, you may even want to watch an entire online class all the way through before you start trying the tutorials. 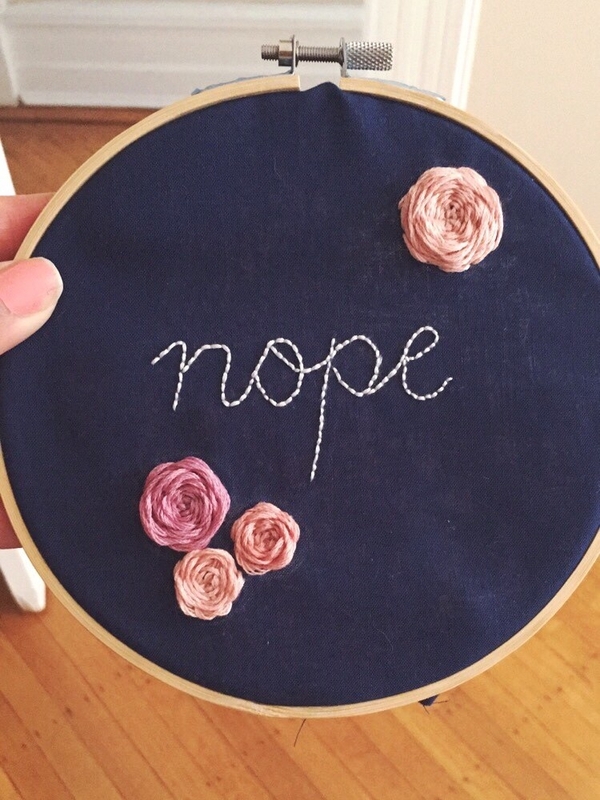 Embroidery looks impressive, but making cool things is surprisingly easy. 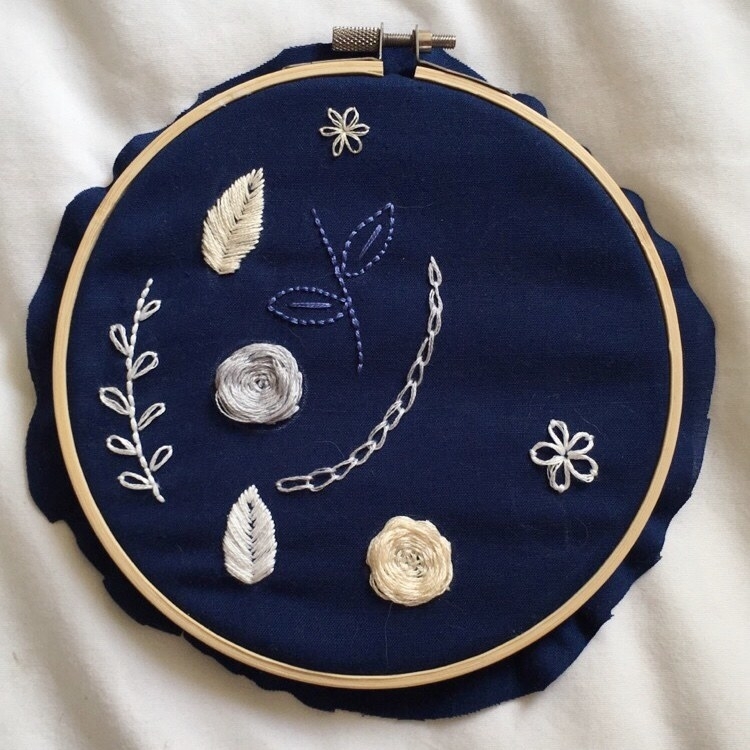 As my friend Alanna says, if you can doodle, you can probably embroider. Sure, there are true artists who take it to a whooooole other level (like this one and this one), but I’ve been surprised by how much I’ve been able to do. Where to start: This Creativebug class is good for learning a bunch of basic stitches. You may also be able to get everything you need from YouTube, and I was able to learn other techniques (like making roses) from photo tutorials on Pinterest. 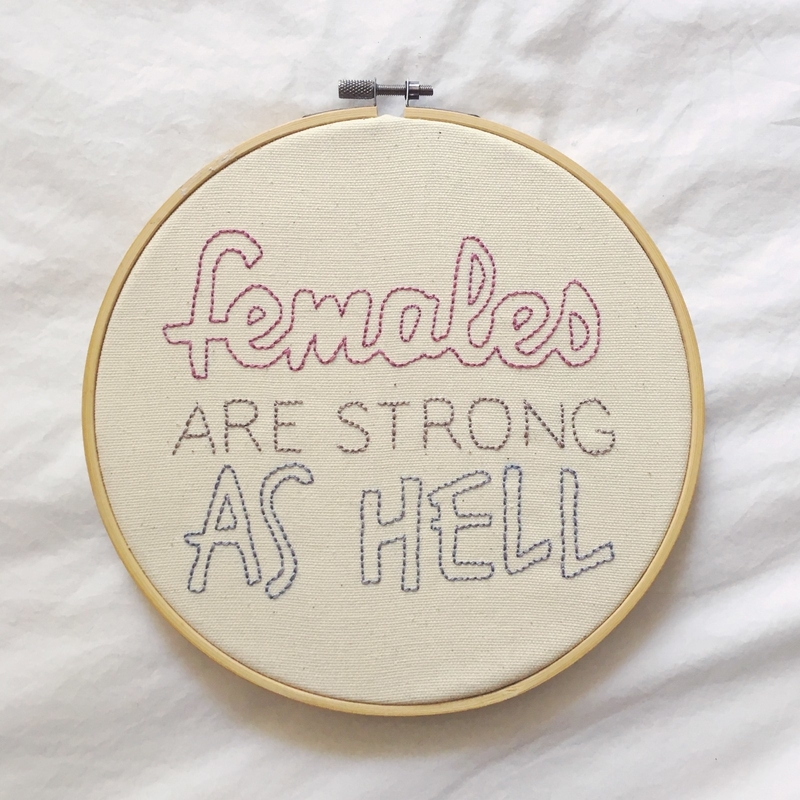 The “Females Are Strong As Hell” project is based on a design created by the extremely talented Jen Riggs (check out her Etsy shop here), and was really quite easy once I’d learned to do a simple back-stitch. I grew up watching my grandma cross-stitch and it always seemed so complicated. When I finally asked her to teach me to do it this past spring, I learned that while it can be complicated, it also can be SO EASY AND OH MY GOD WHY DID I WAIT SO LONG TO TRY IT? That “100” is the first thing I ever did and it wasn’t hard at all. 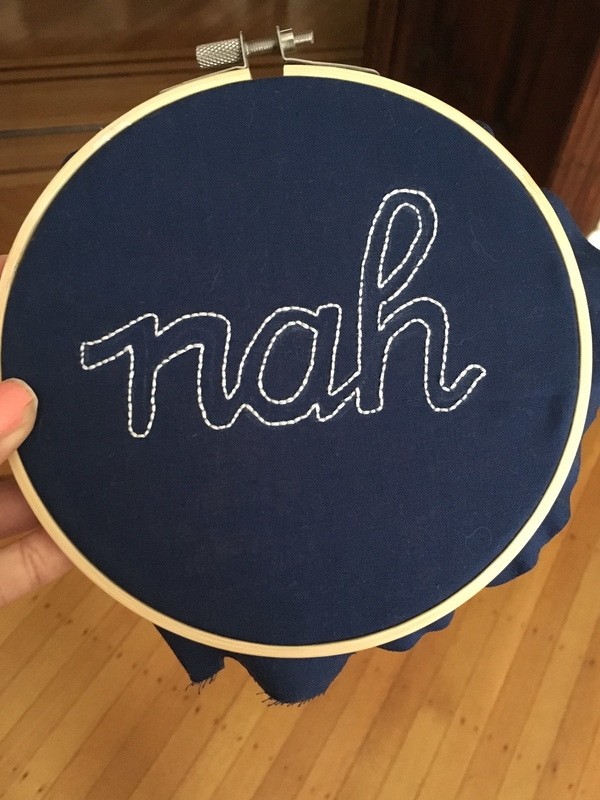 Good for: The same people who might like embroidery, but especially people in that group who are perfectionists and/or who don’t think they’d be good at coming up with or sketching out their own designs. And in my experience, basic cross-stitch requires a higher level of focus and concentration than basic embroidery.